In Which the Pirate Makes a Blanket. Picking a colour scheme for an open-concept house is difficult, and even more difficult when one tries to take into account the furniture, rugs, and artwork from previous houses. But things are starting to come together. We've painted underneath the chair rail in the dining room a deep teal, and the living room has always had quite a bit of burgundy. 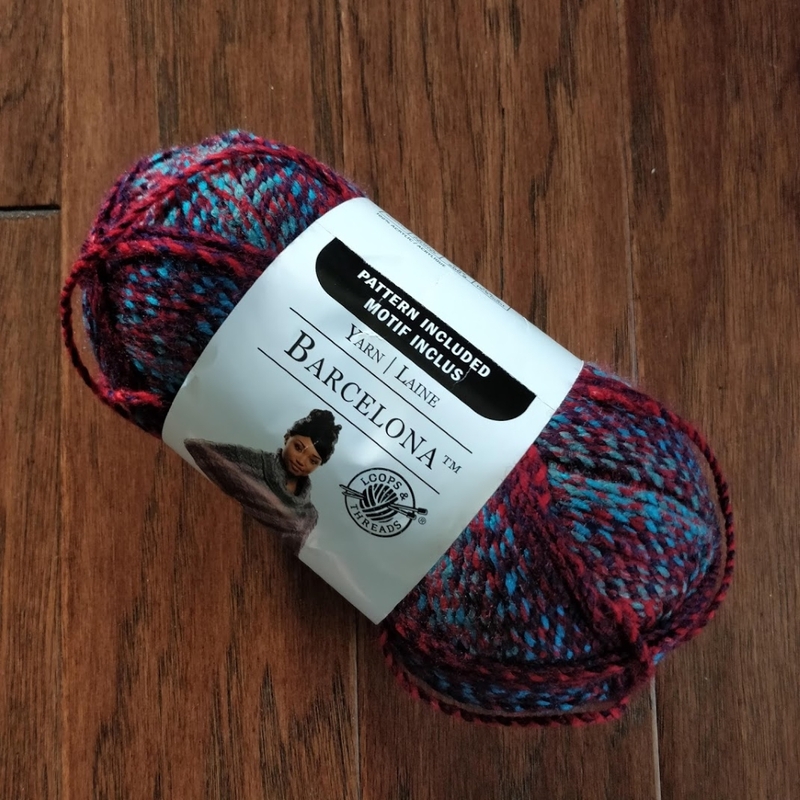 So when we went looking for yarn for our new couch blanket, it was good luck that we found this "Barcelona" yarn by Loops and Threads that shades from burgundy to teal and back again. 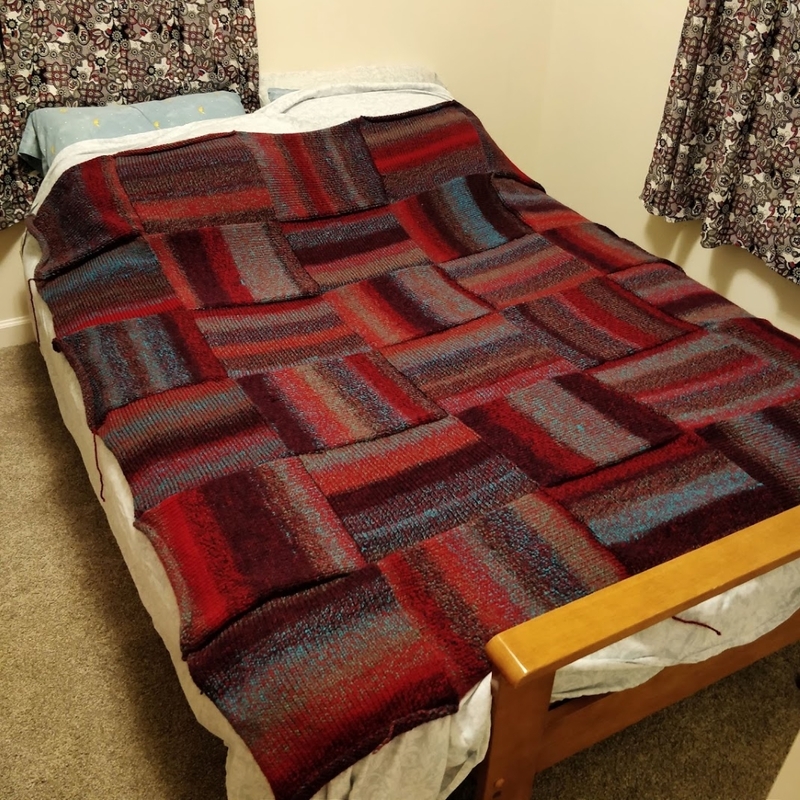 I looked up the yarn on Ravelry and found this project, which instantly became the inspiration for my own blanket. 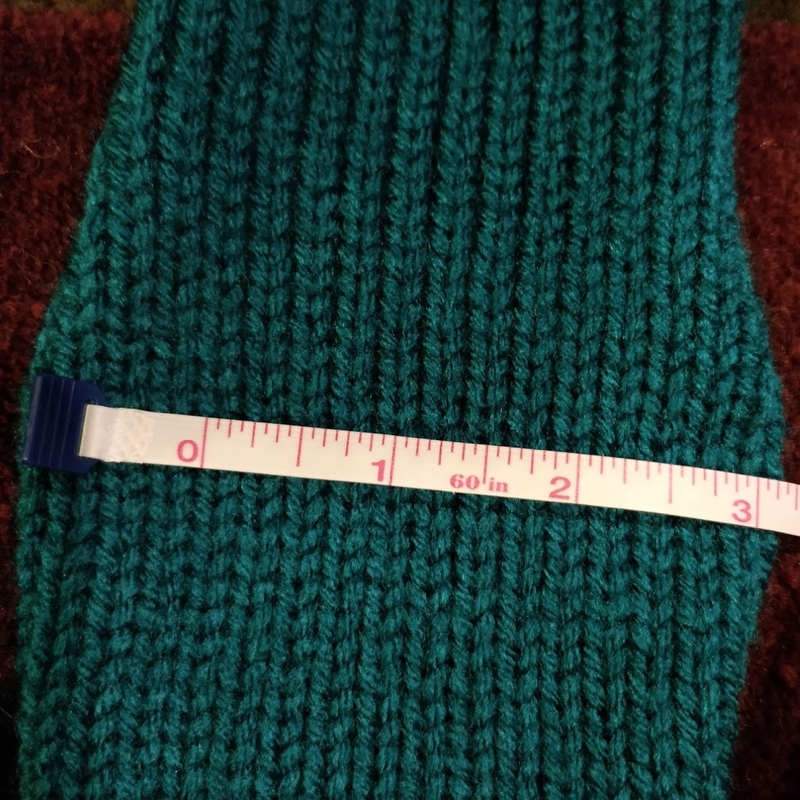 I did a test swatch, figured out my gauge, did some math so that my squares would come out to actually be a square twelve inches, and started knitting. 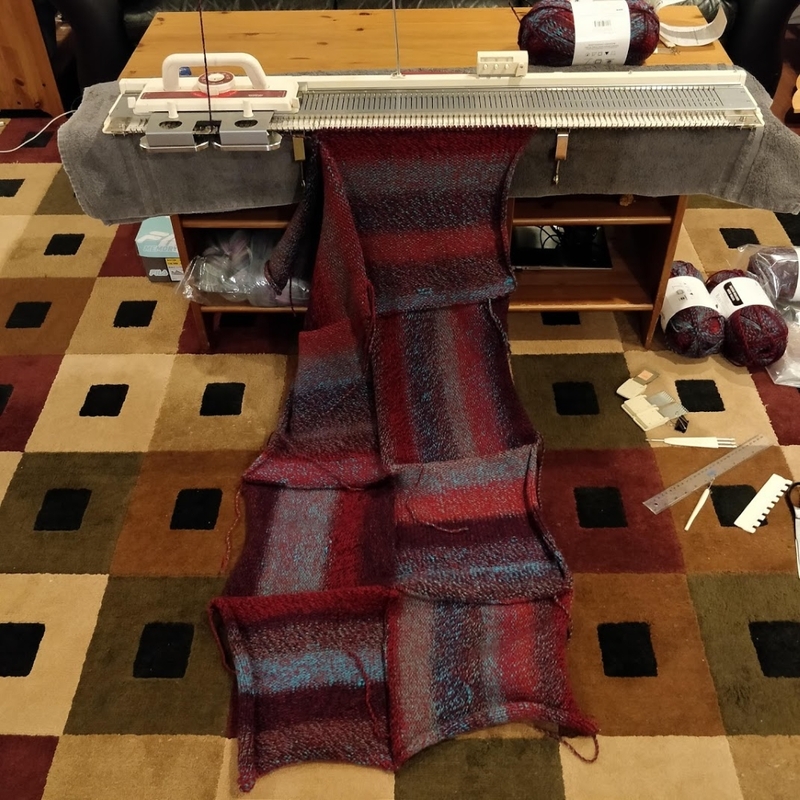 The machine makes it go amazingly fast, and before long I had nine squares finished. 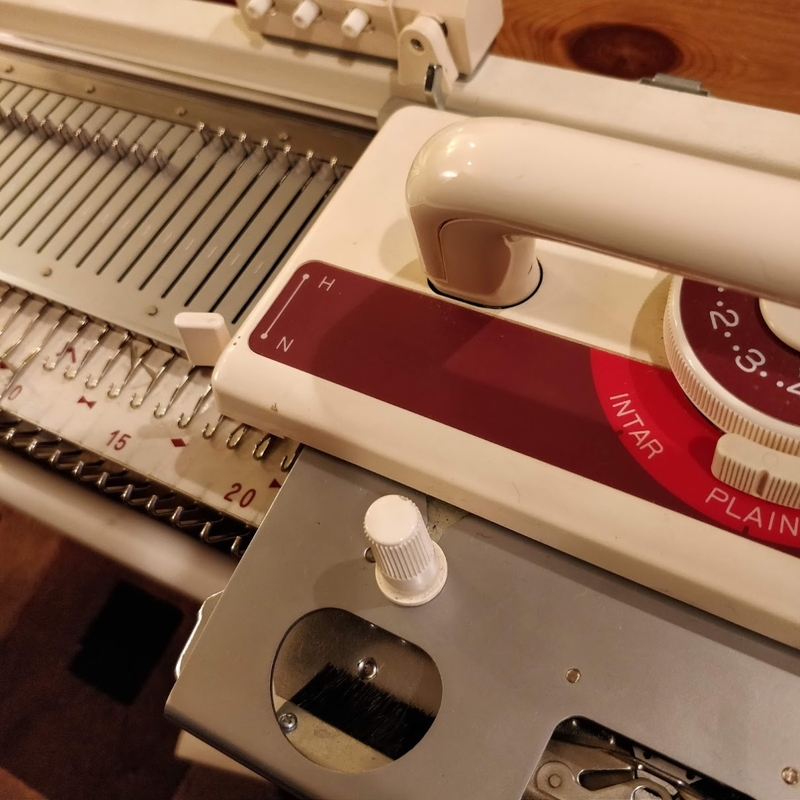 You can see some of that matching burgundy in the rug - yes, the machine currently *is* set up in the middle of my living room, because why not. 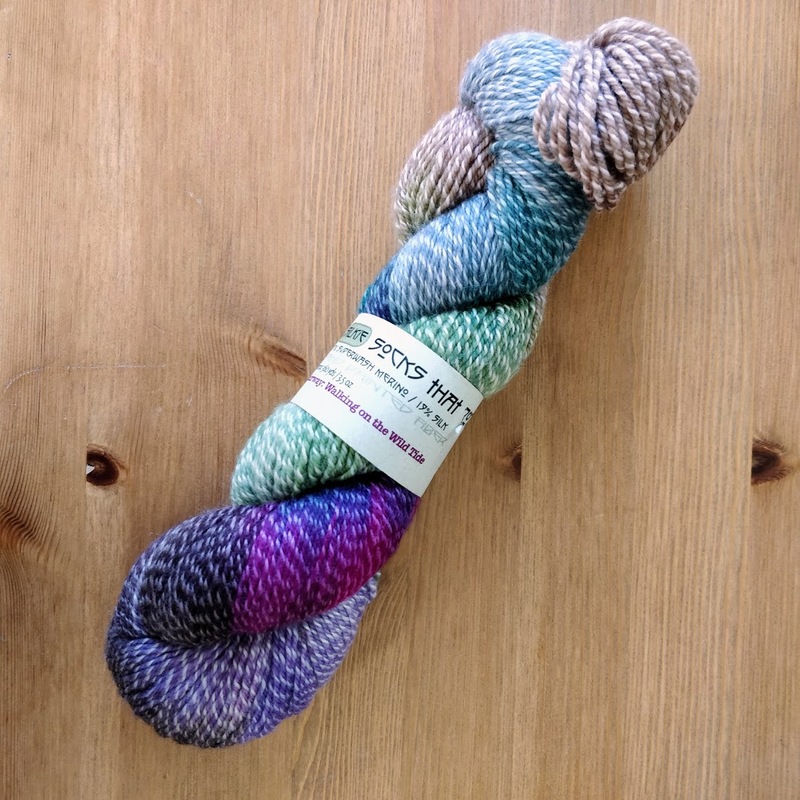 I began to get worried that I wouldn't have enough yarn; each ball was producing four squares, and I was pretty sure that I'd need thirty squares plus a border. 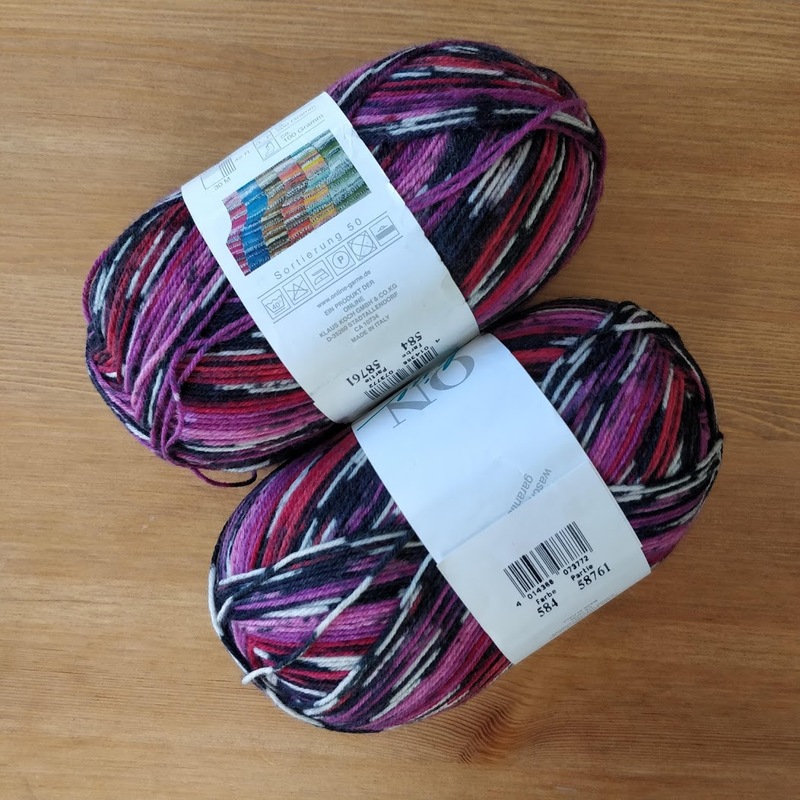 I ordered more yarn, making use of the always-available 40% off coupons at the artsy-crafts store, figuring that I could always return any unused yarn once the blanket is done. 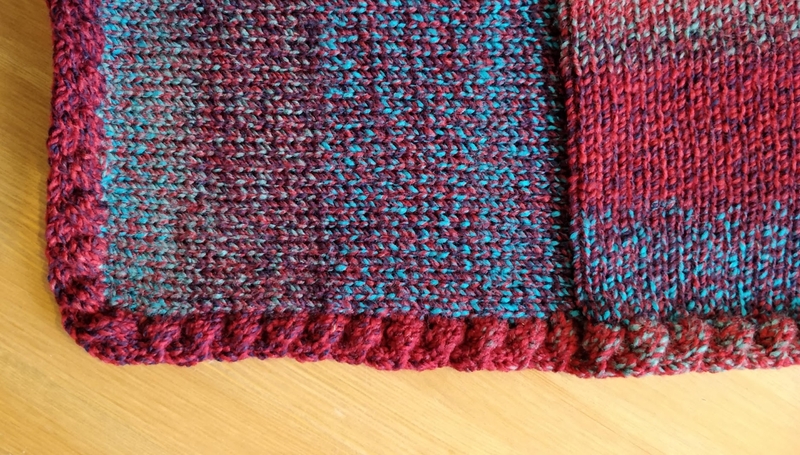 The edges of each square, being stockinette, are obnoxiously curly. 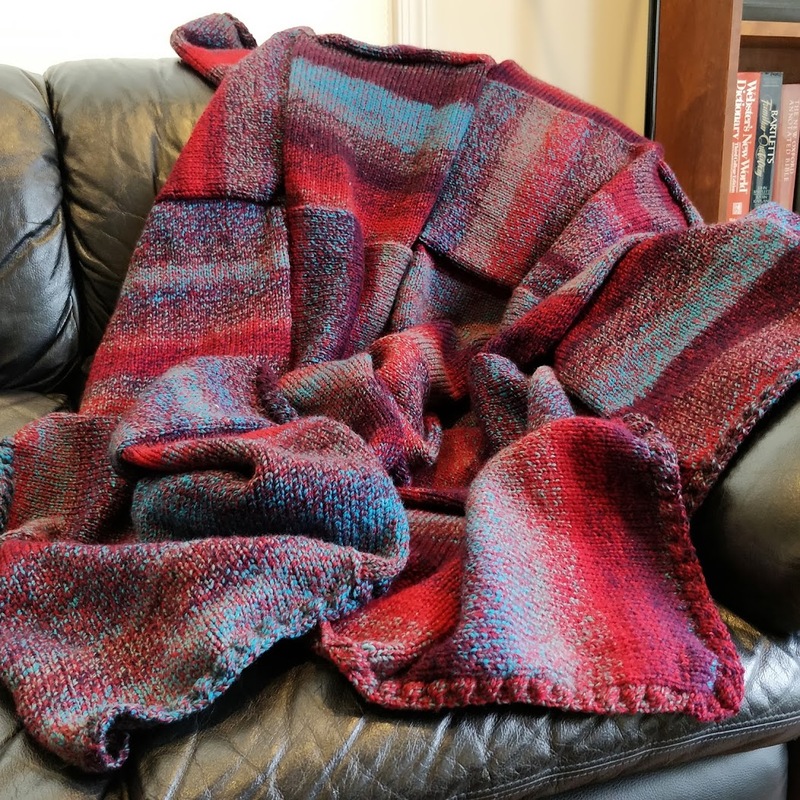 I wanted to find a border that would look good with the blanket and also minimize that curl as much as possible. 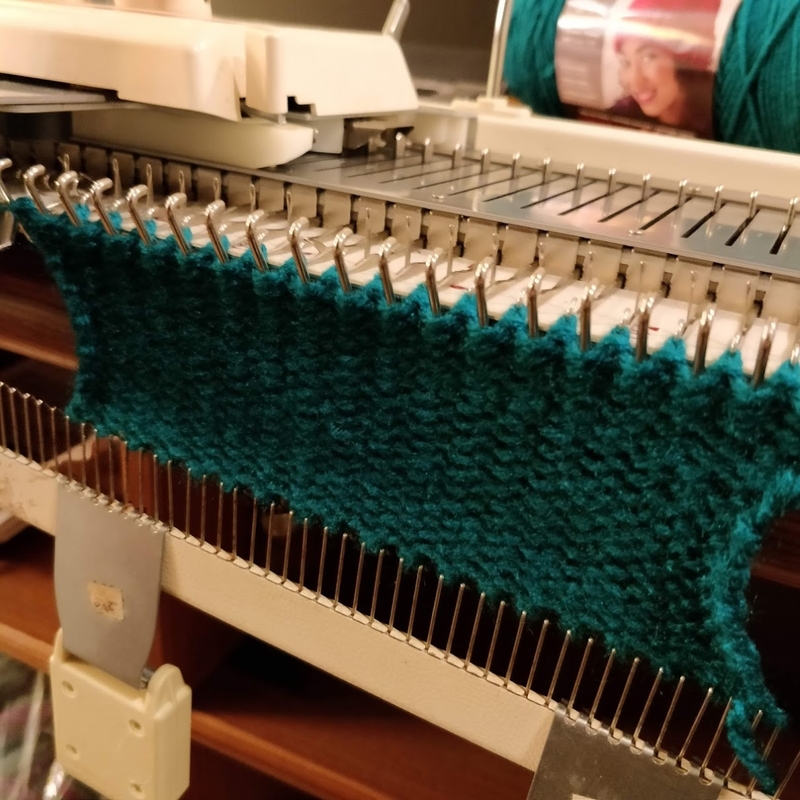 So I knit a test piece with two squares and tried at least half a dozen different edges and borders on it, feeling more and more like Goldilocks with each one: "This one is too wavy. 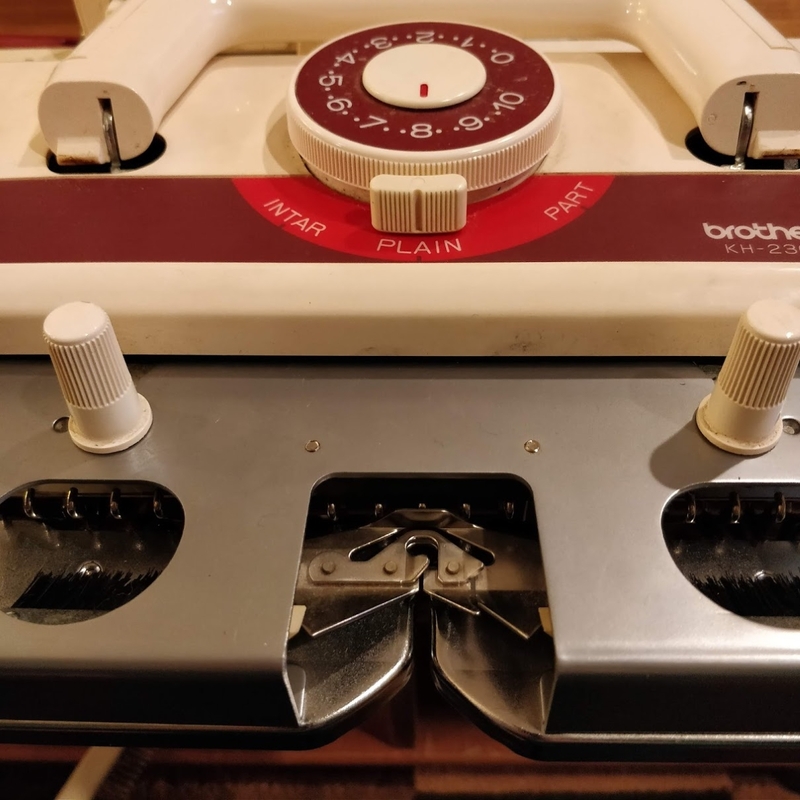 This one is too short. This one is too curled up on the wrong side of the work." 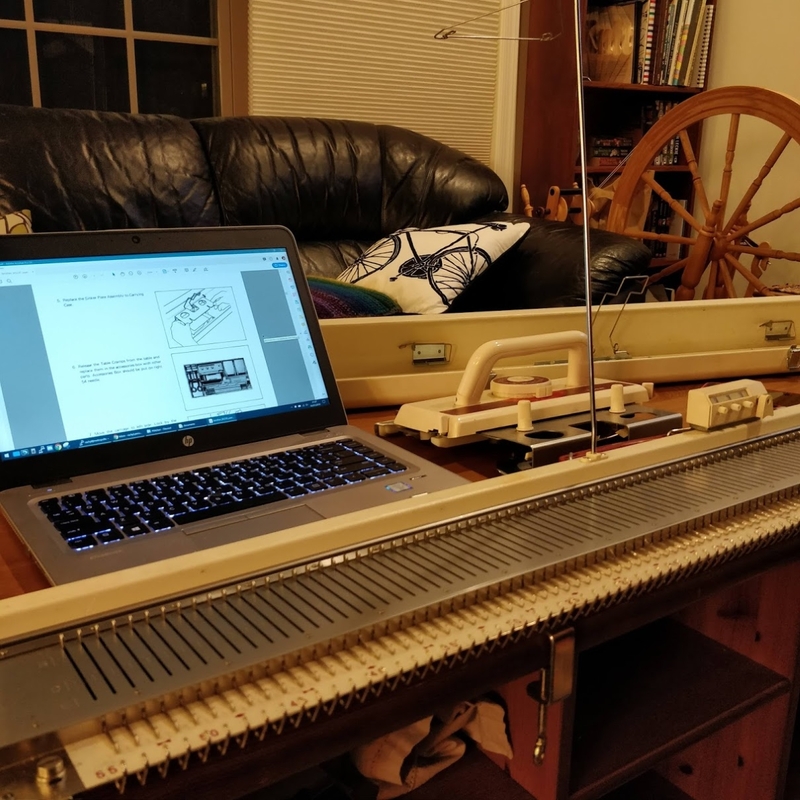 I tried a crochet border, which did work to flatten the edges, but decided not to go with it for the picky reason of wanting to do the whole project on the machine. I tried a pie crust border, a worm edging, a spiraling edge, and finally a half-cable border that totally does the trick. This test piece will go into the wash with the rest of my laundry to give me an idea of how the whole blanket will feel after being washed. 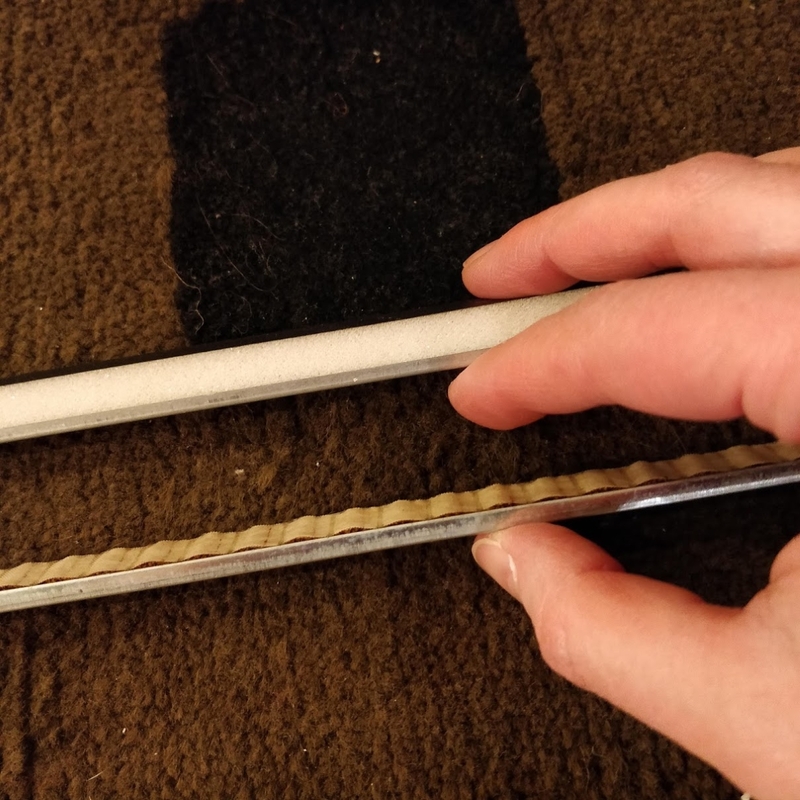 It's supposedly a machine-washable and -dryable acrylic, so I'm pretty confident that it will come out just fine, but better to find out on my test swatch than on the real thing.